The decision to enroll your child in a clinical trial is a personal one that should be made in partnership with your child's doctor. For many families living with Duchenne, clinical trials offer a chance to receive investigational drugs, but there are many factors that need to be considered. Once you and your child's doctor have determined that a clinical trial is the right step for your family, you’ll need to find a trial that is a good match. Before your child can participate in a trial, he must go through a screening process to see if he meets these criteria. The screening process could include tests and interviews. 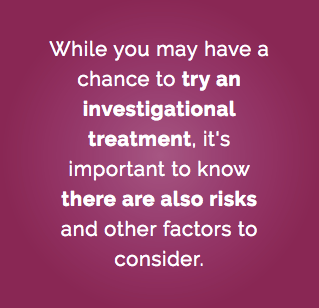 Not everyone who applies for a clinical trial will be selected to participate. 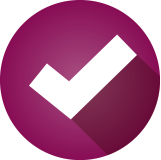 If your child meets the eligibility criteria, the clinical trial staff will start the informed consent process. Informed consent helps you and your child decide whether or not you want to be part of a particular clinical trial. Eligible children and their families are given the key facts about the study before it starts, including the risks and potential benefits. The research team provides details about the study to potential participants in an informed consent document. If you and your child decide together that you do want to be part of the trial, you will sign the informed consent document to indicate that you understand what the study involves, and its risks and benefits. Informed consent does not mean you have to stay in the study; you can ask to leave the study at any time.